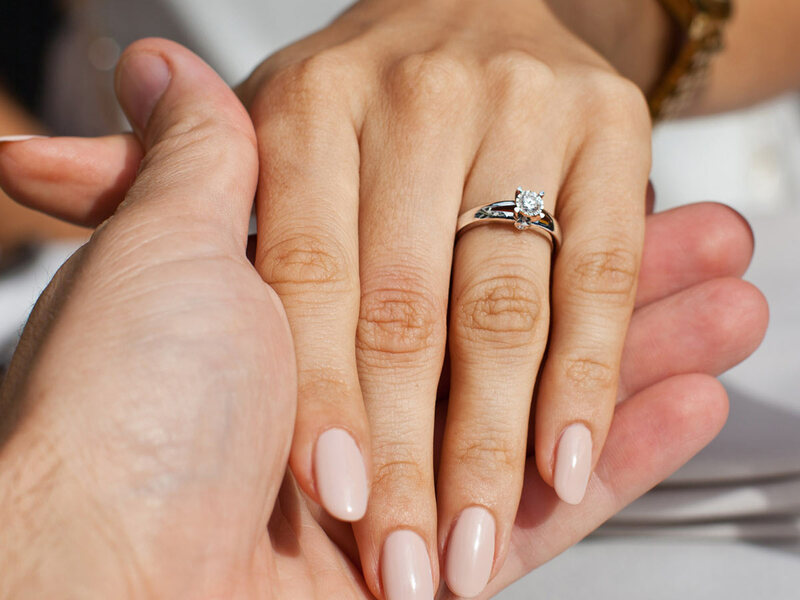 Whether you’re choosing a diamond engagement ring for yourself or your fiancée-to-be, if the wearer of your diamond engagement ring is an active lady then you need to follow some basic instructions. In this case, the durability and practicality are both essential too. But what does ‘modern woman’ mean? A modern woman might be someone who takes part in active sports such as weight lifting or mountain biking, someone with a busy job such as a police officer or a teacher, someone with hobbies like dancing or gardening. Modern woman can be someone who is likely to subject their diamond engagement ring to some rough condition in their day to day lives. Most women should consider the endurance of their diamond engagement ring when making their choice to ensure minimal risk of damage. There’s one particular ring setting style which provides way more protection than any other ring style. One setting style that will protect your centre stone like an ancient knight shielding a damsel in distress. The bezel ring setting offers a rim of protective metal around the edge of your centre-placed diamond to protect the delicate side of the stone from the chips. It’s also usually much lower profile, with the top of the diamond not inclined high up above the engagement ring band. Few people think that the Bezel means that diamonds sparkle lesser than the usual, but this isn’t a problem. Most of the light which causes a diamond to sparkle. This light enters the top of the diamond and is reflected off the bottom facets and back to your eye. The fact that a bezel setting restricts the light from entering the side of the diamond doesn’t affect the light entering the top of the diamond. Therefore has minimal effect on the level of sparkle. If you would instead choose a more traditional prong solitaire setting, then my recommendation is to select a solitaire with six prongs, rather than four. The extra prongs will mean that your centre stone is held more securely, which will be especially valuable if one of the prongs gets bent out of position – the extra prongs will keep the centre stone protected.